Now that I'm getting into the Halloween spirit, I realized I never shared my 2011 costumes on my blog. It was probably because they weren't as conservative as my 2010 costumes (yes, I was Obi-wan Kenobi), but compared to the other college students walking from party to party, I think I did alright. I thought it would be fun to share them too, since I used pieces from my own closet and I know people are always looking for a little bit of costume inspiration without spending too much money. When I was younger, my brother got me into the Indiana Jones series and, to this day, I could still watch those movies over and over again without getting tired of them. Well, maybe not the newest one. 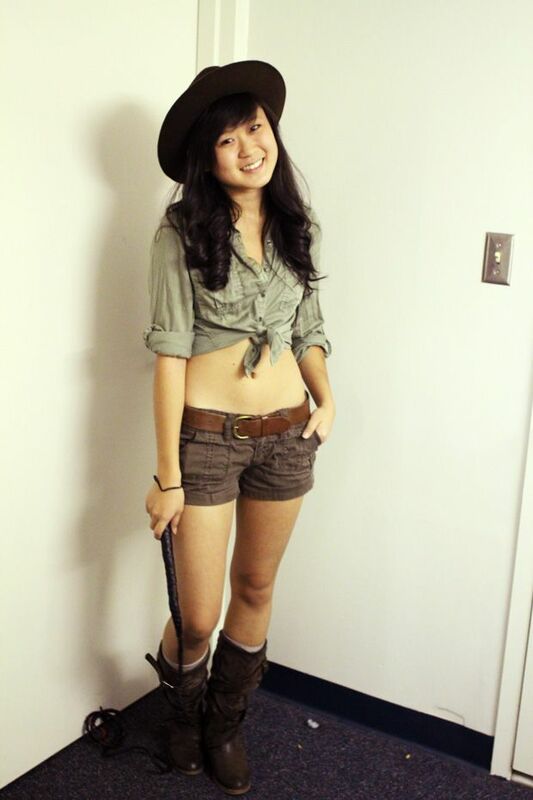 But in honor of Mr. Harrison Ford, I decided to be Indiana Jones. And let's be honest, what kind of college student would I be if I didn't tie my shirt up? I know I'm going to look back on this costume and shake my head at my reckless, young self. But if you don't tie up the shirt, it's a super easy costume to "whip" together (get it? Indiana Jones had a whip?). I'm hilarious. My friend Shahrukh also stopped by to pick me up and borrow a cape for his quick and easy vampire costume. You can't go wrong with a classic. I was tempted to cover him in glitter and turn him into the vampire from Twilight. My favorite costume of all time was my first ever couple costumes (cue the awwwww's). I used to be strongly opposed to couple costumes because I thought they were too cheesy. 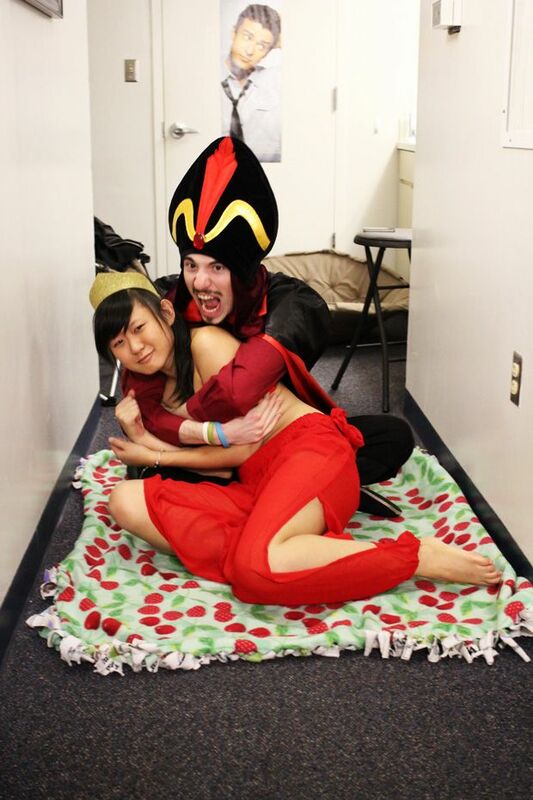 I convinced Jeremy to dress up as Jafar while I was Jasmine (while she was under Jafar's control). The top is a bikini top and I actually bought the pants separately (they were belly-dancing pants - the only thing I could find close enough to Jasmine's pants). And did you notice that Jeremy's wearing my maxi dress? That's right. And he pulls it off beautifully. And finally, an extra costume idea brought to you by one of my best friends: Nira. 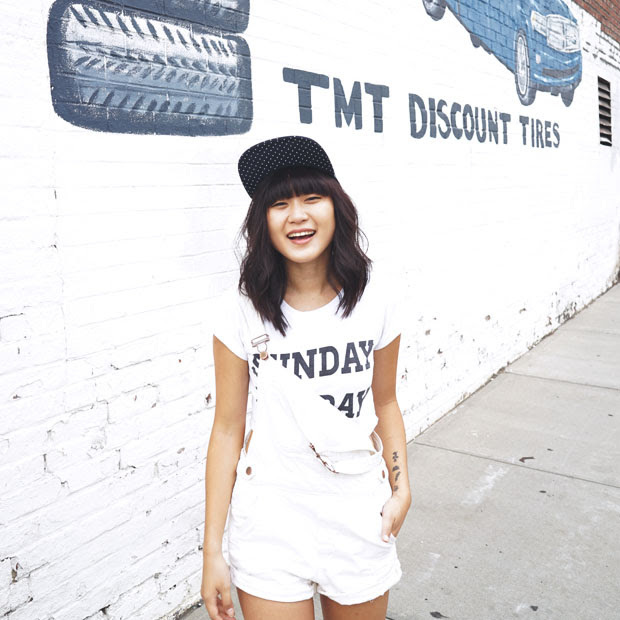 She was my roommate for our last two years of college and now she's also working in New York City. She chose to be Ke$ha for Halloween which didn't take much effort at all. Just some face make-up and some red solo cups (which we had on hand for our Halloween party anyway). I think she pulls it off wonderfully. I can't wait to see what you guys are going to be for Halloween! P.S. Hello, 500th Post! I still can't believe I made it this far. so much fun! All the costumes look great! I LOVE your Jasmine costume. Hehehe such a cute post! I adore your Jasmine costume - such a great idea for a couple. I am looking for a good halloween costume but haven't found the right thing yet. But the Indy costume also gives me ideas :) Yay! Thanks for sharing your past cosutmes. Oh my gosh. Jasmine takes the cake. Officially the BEST thing I've seen!!! These are great Halloween costumes, totally love them!!! 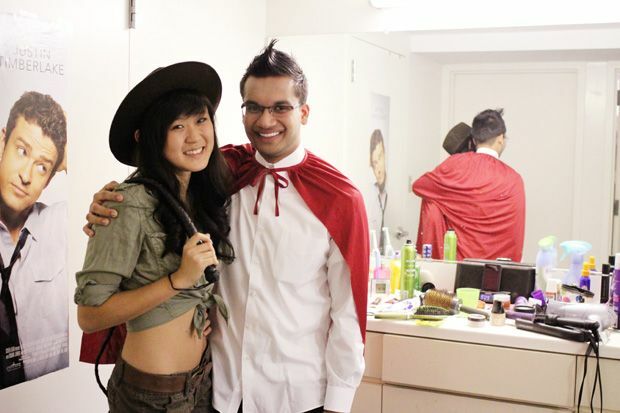 Esp adore your Indiana Jones :) Very creative. omg I love this haha! Indiana Jones is a great idea! Fun costumes! I love the Jasmine costume! 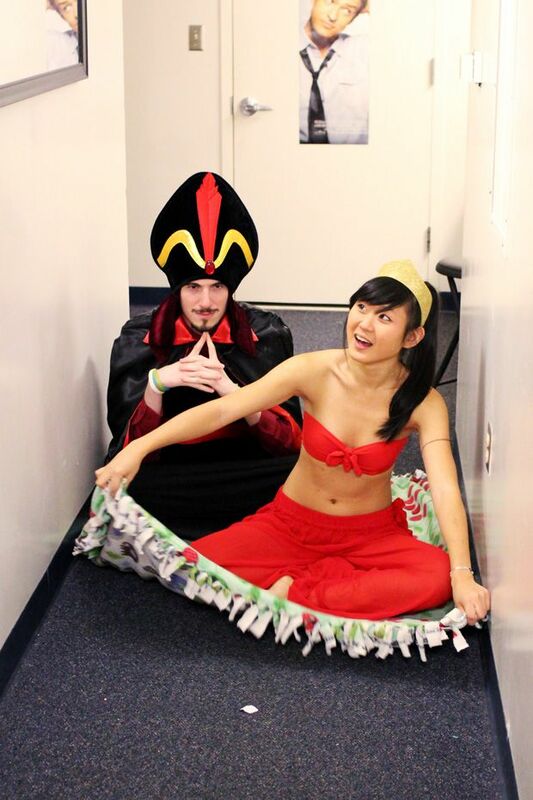 I love the Jafar and Jasmine costume! Too cute. Also I was definitely Ke$ha for Halloween a few years back and it was so much fun.